Fighter practice is designed help fighters improve their skills and to train new fighters in both armoured combat and rapier. 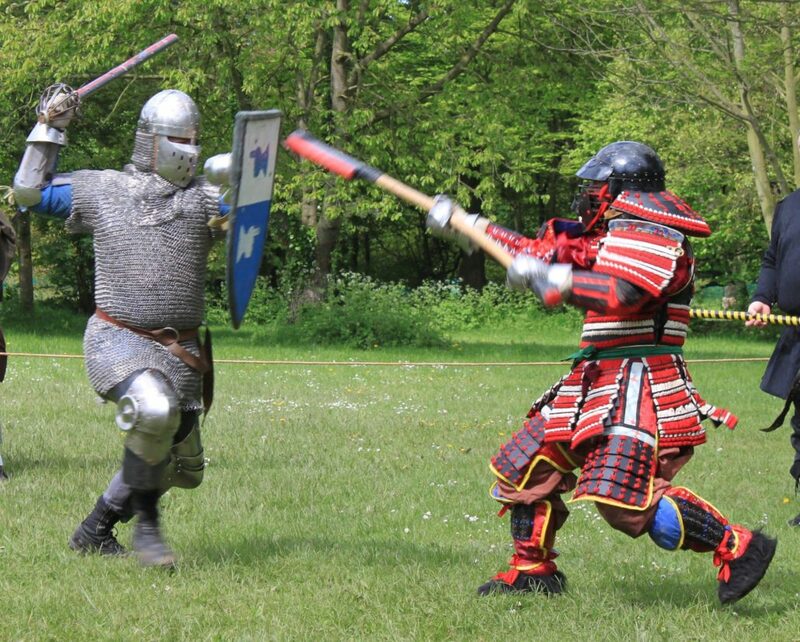 We hold regular fighter practices most weekends at Waterbeach Green. These will usually be 13:00 on Saturday but occasionally start earlier or move location when combined with an archery practice. Please join our mailing list or Facebook group or page to keep abreast of updates. Newcomers are always welcome. If you are interested in joining us, please contact our Knight Marshal, or just turn up. Loaner armour is available to allow anyone to give it a go. For navigation use postcode CB25 9HP. Please see our mailing list or Facebook groups for any changes due to events or the weather. These are just a few suppliers which Shire members have found useful in the past. There are many others.